Concept development, energy analysis, ‘least cost planning’ with 3 alternative designs. Customer support in the decision making process. Approval procedure, tendering and contracting. Construction supervision, including operational organization during the conversion and commissioning phase. 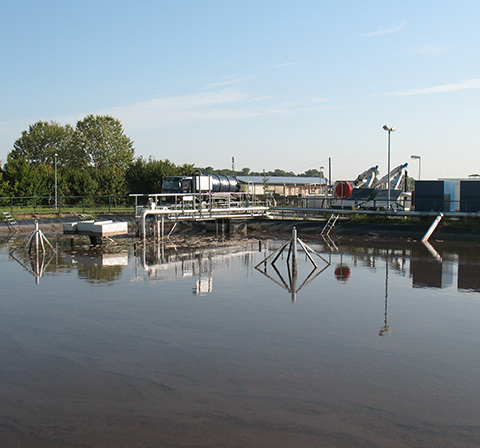 Wagenitz wastewater treatment plant had to improve its performance due to increased requirements concerning the receiving waters with special respect to nitrogen elimination. The owner of the facility, the municipal water association “Havelländisches Luch”, and it´s operator, the OWA GmbH, already had addressed AKUT in the preparatory stage of the project. 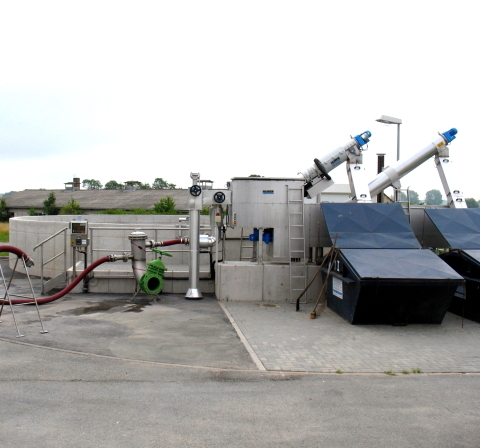 The existing single line sewage treatment plant had to be reengineered in a way that the new plant should nearly reach the reliability of a dual line plant. Additionally for saving investment costs the existing pond capacity should be integrated as far as possible. This can be of high importance as long as relevant components of the plant are not fully financial depreciated. The high energy consumption of the old treatment plant which is typical of large stabilisation ponds of over 70 kWh per year and inhabitant needed to be reduced to the potential minimum. In the first investigations the reasons for the high energy consumption and the potentials to increase the cleaning performance were analyzed. 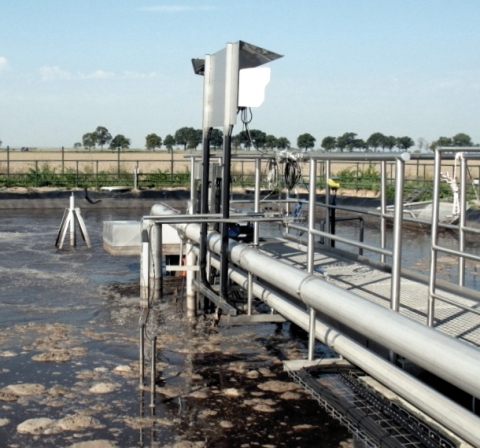 The main components in terms of energy consumption in the technological equipment of the aerobe treatment basin were optimized through rearrangement and renewing by making use of efficient compressors and fine bubble membrane diffusers. Furthermore an energy efficient agitator was installed in the activated pond. Systems for control and measurement were installed in a modular container which saves costs and space. Climatization through earth cooling lowers energy consumption significantly. The system control is guaranteed by a program trialled by us and using fuzzy logic to ensure optimized nutrient conditions and redox potential in the reactor. All components and system control units are provided twice to ensure a high operational safety of the system. 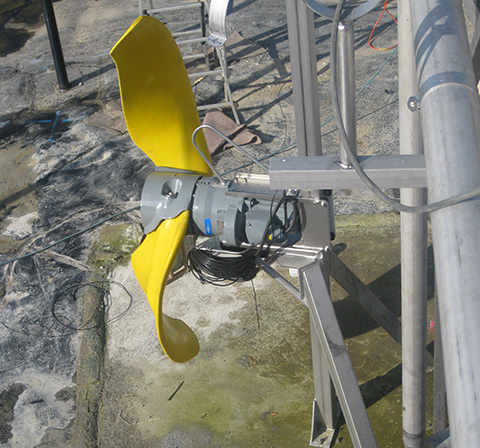 A standby pump of the pre-storage tank may compensate a potential damage of the clear water removal pump. All connections are prepared for this case.